Another friend tells you you have to learn not to absorb the world. She says sometimes she can hear her own voice saying silently to whomever—you are saying this thing and I am not going to accept it. Your friend refuses to carry what doesn’t belong to her. You take in things you don’t want all the time. The second you hear or see some ordinary moment, all its intended targets, all the meanings behind the retreating seconds, as far as you are able to see, come into focus. Hold up, did you just hear, did you just say, did you just see, did you just do that? Then the voice in your head silently tells you to take your foot off your throat because just getting along shouldn’t be an ambition. American poet Claudia Rankine’s remarkable Citizen: An American Lyric (Minneapolis MN: Graywolf Press, 2014) is part memoir, part prose poem lyric, part film script/collaboration and part essay, exploring the subtleties, complexities and ugliness of racism in America. Her prose employs the strength of a punch and the subtleties of lyric, and often both at once, through allowing numerous brutal examples of racism exist without editorial or commentary. Set in a small handful of sections, Rankine’s fifth published poetry collection moves from lyric observation via the prose poem to aan essay on Serena Williams, and film scripts on and around Trayvon Martin, Hurricane Katrina and James Craig Anderson, writing out systematic and deeply held antagonisms and prejudices throughout a country attempting to properly engage with a series of ongoing cultural collisions. Rankine moves through the result of a hundred thousand paper cuts to outright brutality, constantly questioning and citing a series of abuses that come with being a black citizen of the United States in the early twenty-first century. Since the publication of this book last year, there have been dozens of widely-publicized aggressions, attacks and deaths due to a deeply held racist undertone across the United States, including the brutal murder of nine churchgoers in South Carolina and resulting battle over the Confederate flag, to the recent arrest and death of Sarah Bland (and, as I write this, I am fully aware that I live in a country guilty of its own crimes in that regard, including the third world conditions that many of our northern First Nations communities continue to live in). For so long you thought the ambition of racist language was to denigrate and erase you as a person. After considering Butler’s remarks, you begin to understand yourself as rendered hypervisible in the face of such language acts. Language that feels hurtful is intended to exploit all the ways that you are present. Your alertness, your openness, and your desire to engage actually demand your presence, your looking up, your talking back, and, as insane as it is, saying please. To intersect a word: citizen. To find out what could intend/distend it, today. O cidadán. A word we recognize though we know not its language. It can’t be found in French, Spanish, Portuguese dictionaries. It seems inflected “masculine.” And, as such, it has a feminine supplement. Yet if I said “a cidadá” I would only be speaking of 52% of the world, and it’s the remainder that inflects the generic, the cidadán. How can a woman then inhabit the general (visibly and semantically skewing it)? How can she speak from the generic at all, without vanishing behind its screen of transcendent value? In this book, I decided, I will step into it just by a move in discourse. I, a woman: o cidadán. As if “citizen” in our time can only be dislodged when spoken from a “minor” tongue, one historically persistent despite external and internal pressures, and by a woman who bears ― as lesbian in a civic frame ― a policed sexuality. Unha cidadán: a semantic pandemonium. If a name’s force or power is “a historicity … a sedimentation, a repetition that congeals,” (Butler) can the name be reinvested or infested, fenestrated … set in motion again? Unmoored? Her semblance? Upsetting the structure/stricture even momentarily. To en(in)dure, perdure. Whereas Lai and Wong composed their poems as “trace movement through the long now and constitute evidence of some hopeful reaching towards friendly coexistence of multiple tactics/perspectives,” Rankine’s Citizen is an exposé, forcing an examination of what it really means to be a black citizen, specifically in the United States of America. 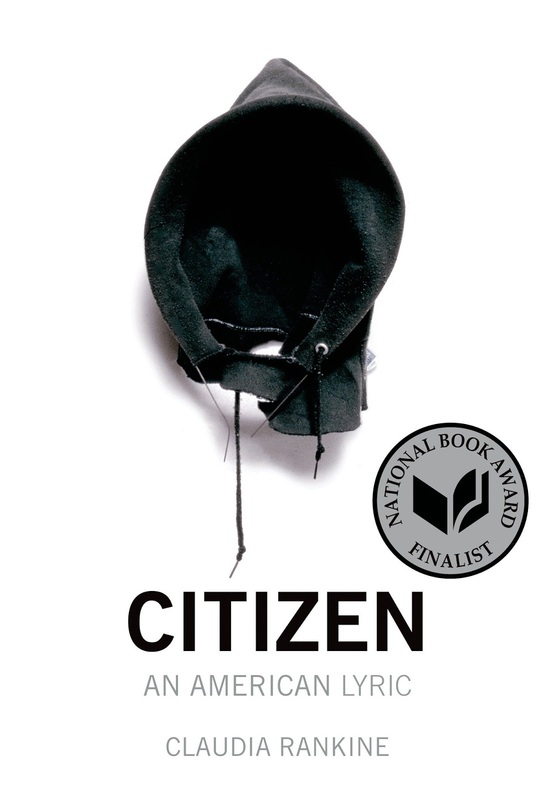 Citizen does not exist to provide answers, but instead, focuses on forcing the reader/viewer to acknowledge that the problem exists at all, the implications of what that means, and how broadly felt and deeply ingrained it really is. For those of us on the outside of the experiences she writes about, one hopes that it forces an awareness of our own actions, whether active or passive, and responsibilities therein.